May 18, 2015, 10:21 a.m. May 18, 2015, 10:21 a.m.
Why should I track my fleet of vehicles? 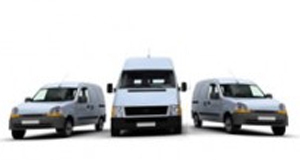 If you are managing a fleet of vehicles you might want to look into vehicle tracking. At Well Dunn, we have friends in this field who specialise in just this. If you need to know where your vehicles are, invest in a GPS enabled tracking system. When you have drivers on the road for long periods of time you will know that they have to take breaks – legally. By monitoring their driving you know if they are taking these breaks and can enforce them. What’s more you will know if your vehicles are where they are meant to be. If you have a driver taking your vehicle off route, you need to know why plus if you can see traffic coming up ahead you can help redirect your drivers saving time and money in the long run. Need to dispatch a job to your drivers? Impress your clients by arranging pickups and drop offs with your drivers quickly. If you have eyes on your vehicles and need to arrange for a pick up or drop off you can do this swiftly and efficiently from the closest driver with the best vehicle for the job. Many managers are installing dash cams across their fleets to help know who is the wrong when your drivers are involved in accidents. Dash cams are becoming invaluable to fleet managers to keeping insurances costs down by avoiding fraudulent claims. There are many reasons on why to invest in vehicle tracking and we suggest you speak to specialists such as G- Force Communications*. *By clicking this link you will be leaving the Well Dunn Insurance Services website. We cannot be responsible for the content found on external websites.